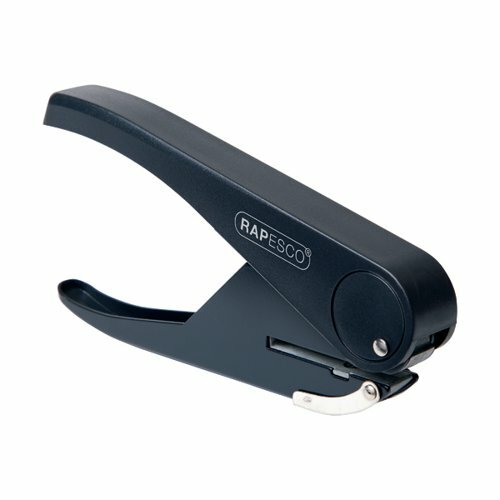 Rapesco Sole Single Hole Punch. Single Hole heavy duty punch, ergonomically designed with metal paper chamber and working parts. Paper capacity is 23 sheets at a time punching a 6mm diameter hole.